When you find yourself living out of a rucksack,( Bug Out Bag) either camping, or bugging out in SHTF, you carefully watch the size and weight of anything you carry. Having the ability to boil water, make a hot drink, warm up or cook the food you have with you or to cook food you find along the way can be an important consideration. There are a number of options in selecting lightweight stoves and cooking gear. Stoves generally fall into three categories of fuel types: Those that burn bio mass fuel (sticks, straw etc.) those that burn alcohol or other liquid fuel, and those that burn chemical fuel tabs. In deciding which one, or which combination of cooking stoves and accessories you need to consider weight limitations, how long you plan on having to use it, fuel supply and weight, and the availability of replacement fuel. One of the most basic of stoves is the field expedient tin can stove like the one pictured. This is the type of stove I used exclusively in the jungle in Vietnam. Take an empty can, your P-38 can opener and cut ventilation holes in it. Using solid fuel tabs you can boil water in a canteen cup, or heat up cans of food. ( when out of fuel tabs, we would use a round marble size piece of C-4 explosive. It would bring a canteen cup full of water to a boil quickly. Don’t do this at home kids!). Another excellent lightweight stove for use with solid fuel tabs is the Esbit. This style of stove has been made by Esbit for many years. It was standard issue to German soldiers in WW2 and has been a mainstay for soldiers and campers for many years, and is still manufactured by the same company in Germany. The solid fuel tabs can be stored inside the stove when folded, and are lightweight so you can easily carry sufficient fuel tabs for a 72hr. bug out plan. I have used one for years and it rides comfortably in my bug out bag. Esbit also makes a variety of solid fuel stoves including a lightweight titanium folding solid fuel stove in addition to their traditional model. Their solid fuel stove cook set is also a popular item. Kit includes 585-milliliter pot, lid, and wind deflector/pot stand, and stores in included mesh bag. Pot includes volume indicators in both liters and ounces, and has two hinged stainless steel grips that fold flat against body of the pot. The whole kit weighs 7 ounces. Cons of solid fuel stoves= Limited capacity. You won’t cook a three coarse meal on one. At some point, you will run out of fuel tabs. Again, Esbit makes a really good alcohol burner stove. Great little stove, but you need to have something to place your food or cup on for heating. Or you can buy it as a cook set like the solid fuel stove listed above.The pot stand and burner nest inside the pot for storage. A mesh storage bag is also included. Packed, the entire kit is only 5 Inch tall x 4.75 Inch across. With the pot on the stand, the height is 8 Inch. Weighs only 10.9 ounces (310 g). Pros of alcohol stoves: They are efficient cookers and will use a variety of alcohol types. Cons of alcohol cookers= They are fuel dependent and alcohol weighs more than solid fuel tabs. The Solo Stove is an extremely popular stove. It incorporates a secondary combustion for a more efficient and cleaner burn. Boiling: 8-10 minutes to boil 34 fl oz of water; Fuel: Burns sticks, pine cones and other biomass; Packed size: Height 3.8 inches, Width 4.25 inches; Assembled size: Height 5.7 inches, Width 4.25 inches; Weight: 9 oz; Materials: Hardened 304 stainless steel, nichrome wire. It is designed to work with twigs and other small combustibles you find out doors. The company makes a number of accessories such as a wind screen and pots. This particular stove has received a lot of testing and reviews and is a popular item in the prepper community. The Kelly Kettle is also a very popular stove for preppers. 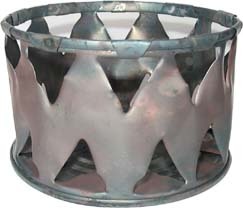 Also designed to use small twigs and other combustible, it holds 44 fl. oz. of water (5.5 Cups). Ideal; for hot drinks and heating water for freeze-dried meals. The Kelly Kettle Aluminum Scout is 12.25 inches tall, weighs only 1.8 pounds – Comes in a handy carrying bag. Pros of bio-mass fuel stoves= You don’t have to carry fuel with you and it uses fuel that is readily available. Cons of bio-mass fuel stoves= You have to have a source of dry fuel. In extremely wet weather that coud be problematic. Having a good stove to cook food and boil water is essential. There are some useful accessories to go along with your stove you might want to consider. The G.I. canteen cup is probably one of the best items of equipment Uncle Sam ever threw out there. You can cook in it, make your coffee in it, shave in it, wash with it. (I have done all of those). Truly a multi task item. Make sure you get an original G.I. cup. There are a lot of cheap knock offs out there. These cups are not all the same size. Eating with you finger may make you feel macho, but it is also a good way to make yourself sick. A good Titanium spork with a carabiner that can also open bottles may come in handy. 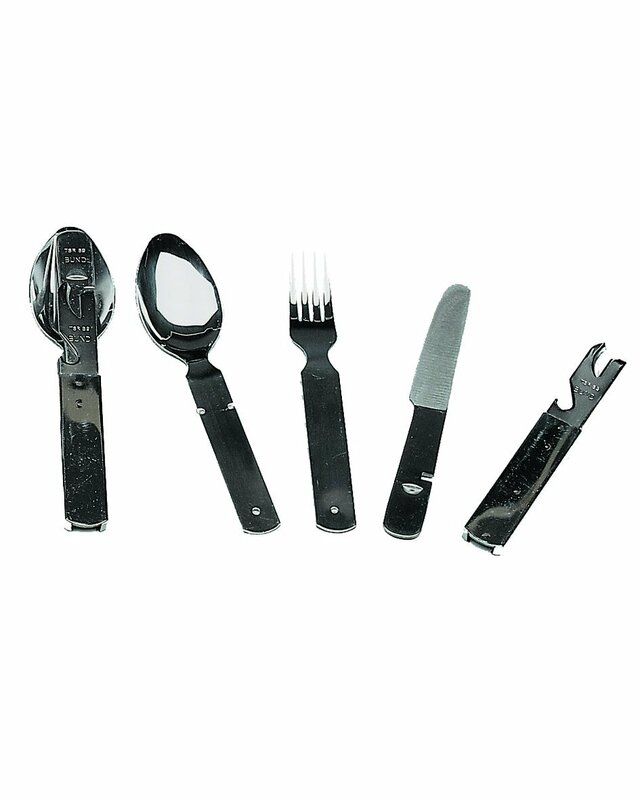 For those who don’t like sporks, Mil-Tec makes a Knife Fork and Spoon set that is traditional German military. 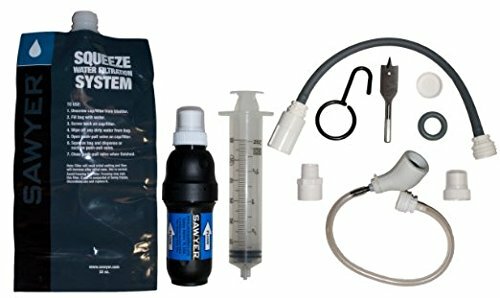 The above are just a small sample of lightweight and portable cooking solutions for bugging out on foot and living out of your bug out bag. In regards to stoves, my solution is to have a small solid fuel stove such as the Esbit coupled with a bio-mass stove such as the Solo Stove. These should cover your bases regardless of the weather or conditions you are in. As always, decide what you actually need, do your research, and then buy the best quality you can afford. Good overview of the subject. I prefer my MSR Whisperlite stove,yes,it requires fuel,but can use Coleman fuel,gasoline,kerosene,or diesel. That’s not included in the instructions,as the stove is made for burning Coleman fuel. I’ve even run the thing on boat gas that was 50:1 gasoline mixed with oil. One thing I will never again use is a spork-I despise the things,I’ll suffer with the extra few ounces,and pack a spoon and fork. There are a lot of really good stoves out there. A lot of folks do not like sporks, including me. I use a German army cutlery set I bought at the German PX in Kabul. I think whoever came up with “whisperlite” for the MSR stoves was being a smart as*-the things sound like a 747 spinning up for takeoff. For interest I also use an open soda can half filled with sand and half as much gas (petrol) poured on top. Lighting it very much at arms length, it burns long and hard. Thats an excellent idea. And if a lot of abandoned vehicles are around, a really good fuel supply. Glad you liked the article.